David O`Connor , Owner Bellingham Sails & Repair. Dave has been an active sailmaker for 35+ years. He started his career learning the trade from John Staaf and Dave Leech at Staaf sails in Bellingham Wa. in the 80’s. Later moving to Maui and working at the R&D loft for Ezzy Sails International where he learned the art of precision sailmaking, building , testing, and modifying windsurfing sails then helping to implement the designs into production at the Sri Lanka production facility. After Dave’s twin daughters where born on the island in 1996 the decision was made to relocate to San Diego as a better place to raise kids. Dave joined the crew at Quantum Sails San Diego and worked for Three time Olympic medalist Mark Reynolds until the time came to complete the circle and return “Home” to the Northwest to finish raising his girls. “I’ve had the pleasure of working with and learning from some excellent sailmakers and have come away with a varied and in depth knowledge of everything from Windsurfing and Kitesurfing to Olympic class one designs, to World Cruisers and Weekend racers. It’s good to be back and starting another chapter in what’s been a very enjoyable career. Dave can be found sailing his Hotfoot 31 Strider with his wife Beth on weekends and weekday beer can races. 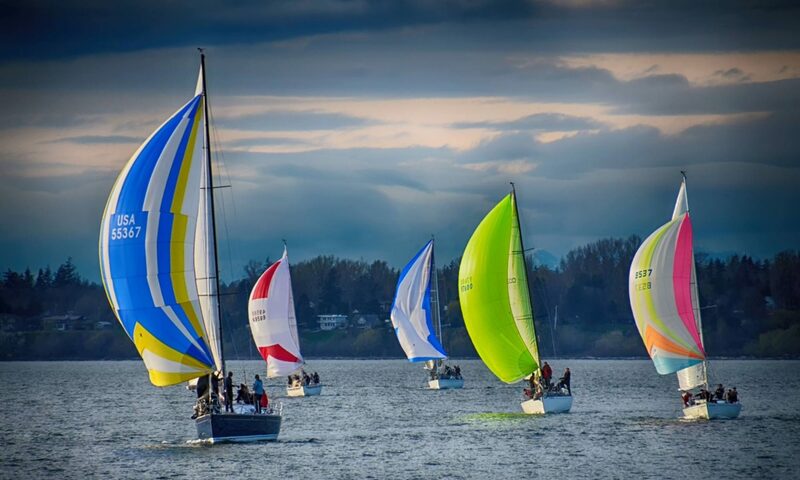 Bri is teaming up with Bellingham Sails & Repair. After completing her college degree in Seattle, Bri returned to Bellingham to pursue her career in marine canvas and sailmaking. With experience from two local marine canvas shops and U.K. Sailmakers, she is a well versed craftsperson. In her spare time you can find her riding her bike, raising her dog Luna, or playing cribbage at a local brewery.